Yesterday, Curbed posted a short article about the renovation of 365 Broadway, which is being turned into 20-unit residential building. The founder of the business, John Taylor, established in 1851 a restaurant that was notable in its day, and later, at the corner of Broadway and Franklin Street. 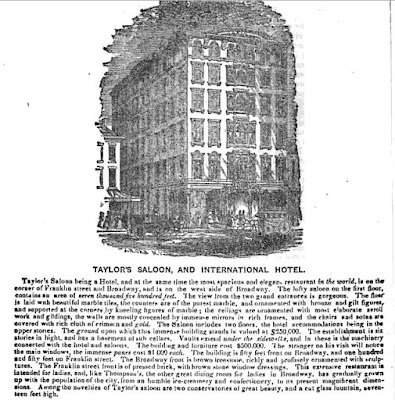 Taylor's Saloon, as it was then called, was looked upon as one of the most magnificent restaurants in the world. The lofty saloon on the first floor, contains an area of seven thousand five hundred feet. The view from the two grand entrances is gorgeous. The floor is laid with beautiful marble tiles, the counters are of the purest marble; the ceilings are ornamented with bronze and gilt figures, and supported at the corners by kneeling figures of marble; the ceilings are ornamented with the most elaborate scroll work and gildings, the walls are mostly concealed by immense mirrors in rich frames, and the chairs and sofas are covered in rich cloth of crimson and gold. Taylor’s, however, was more than just a place for women to dine while shopping at the fashionable Broadway stores. It was an excellent pre- or post-theater destination—back when the theater district was also on Lower Broadway—and in its basement was the gentleman’s dining room, where men could enjoy each other’s company in the absence of female distraction. More about Lower Broadway in its fashionalble heyday can be found in our new book, Inside the Apple, available from Amazon or wherever books are sold! 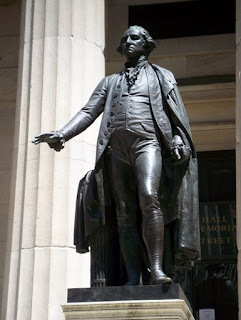 Thursday, April 30, marks the 220th anniversary of George Washington’s inaugural on Wall Street. Though every year millions of people pass the elegant statue of Washington that stands on the front steps of what is now called Federal Hall National Memorial, few remember the crucial role that New York played in the fledgling government. As part of the new Constitution, the states agreed to have a capital city that was not governed by a state, thus heading off another Pennsylvania debacle, and Alexander Hamilton’s preference was for that city to be his own. Pierre L’Enfant, who would achieve great fame as the master planner of Washington, D.C., remodeled the old British City Hall on Wall Street to serve not only as the meeting place for congress and the new chief executive but also continue to house New York City’s government offices. On March 4, 1789, congress and the Electoral College met there for the first time and unanimously selected Washington as the nation’s first president. On April 30, he was sworn in on the second floor balcony in a short ceremony before retreating inside to address a joint session of congress. The old Federal Hall is, alas, gone. The building you see today on Wall Street is an 1842 Treasury Department building designed by Ithiel Town. It first served as the U.S. Custom House and later as the Federal Subtreasury, where gold bullion was stored. On Thursday, April 30, 2009, from 10:00 a.m. to 4:00 p.m., the National Park Service will be holding special events to showcase Washington’s role as America’s first Commander-in-Chief. If you are going down to that part of town – or work down there – the first walking tour in Inside the Apple is a great exploration of the Dutch, the English, and the American Revolution in Lower Manhattan. If you don’t already have a copy of the book, you can pick one up at the Borders at 100 Broadway (located in the gorgeous old American Surety building), right around the corner from Federal Hall. On Thursday, April 23, at 6:30PM, we will be speaking at Fraunces Tavern in Lower Manhattan. Because that neighborhood is steeped in New York's early history, our talk will focus on the area right about the tavern, starting with the Dutch and looking at the British takeover in 1664, the American Revolution -- in which Fraunces Tavern played a significant role -- and the growing mercantile nature of the neighborhood in the early 19th century. The lecture costs $6 (or is free if you are a member of the museum). Come early to enjoy the museum's collection. After the talk, there will be a reception and books will be available for sale and signing. Yesterday, April 14, marked a solemn date during a year in which we are celebrating Abraham Lincoln's 200th birthday -- the 144th anniversary of his murder. 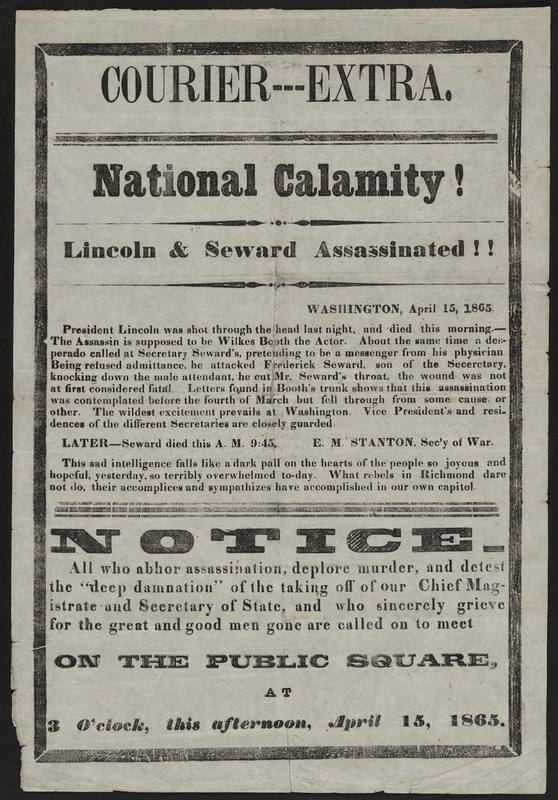 While Lincoln's death at the hands of John Wilkes Booth will likely always be remembered as one of America's most heinous crimes, it should be recalled that Booth and his conspirators had two other targets that night, as well: Secretary of State William H. Seward and Vice President Andrew Johnson. 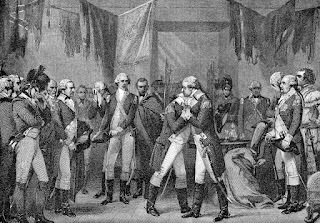 Even though Lee had already surrendered to Grant, Booth reasoned that if they could kill the President, the Vice President, and the Secretary of State all on one night the Union would be thrown into disarray. And, with no formal right of succession--which wouldn't be codified in the Constitution until after the Kennedy assassination--Booth might have had a point. Seward died in 1872 and is memorialized in New York City in a famous park on the Lower East Side (about which we'll blog more in the future) as well as in a grand statue in Madison Square Park. This statue will be one of the stops on our tour of the Flatiron District this Sunday, April 19, at 4:00PM. The tour is sponsored by local, independent travel bookstore Idlewild Books. The event costs $25 per person, which include the tour, a signed copy of our new book, Inside the Apple, and a reception afterwards at the bookstore. This is a great opportunity to learn more about Madison Square Park and the Flatiron District -- and a great deal; you are essentially getting a free book for the price of a walking tour. To register for the tour call Idlewild Books at 212-414-8888. All this week will be answering questions about Manhattan History at the New York Times's City Room blog. We look forward to your questions about the city! New-York Historical Society Presents "Inside the Apple"
Next Wednesday, April 15, at 6:00PM, we will be giving an illustrated book talk at the New York Historical Society. Like Inside the Apple, the talk will focus on the history of the city from Henry Hudson's arrival in 1609 to the present. We will pay special attention to some of the important New Yorkers who have shaped the city over the past 200 years and were also integral to the creation and early life of the New York Historical Society. The talk will also feature a brief "virtual tour" of the Upper West Side neighborhood where the society now resides, showing how Central Park West went from farmland to posh address at the end of the 19th century. Copies of the book will be available for sale and signing afterward. We are also being filmed that evening for C-SPAN 2's "Book TV," so come with good questions for the Q&A! The event is free and open to the public. The New York Historical Society is located at 170 Central Park West (at the corner of 77th Street). In the year of who knows when. To the sound of an accordion. Today marks both the birth and the death of one of New York’s most famous gangsters, “Crazy” Joe Gallo. Though Bob Dylan claimed he’d been born “in the year of who knows when,” Gallo was actually born April 7, 1929, in Red Hook. His life of crime began when he and his brothers became enforcers for the Profaci family in the 1950s. After successfully carrying out the murder of Albert Anastasia at the Park Sheraton Hotel, Crazy Joe asked Joseph Profaci for a bigger cut of the action. 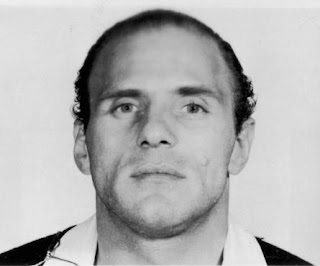 When Profaci refused, a turf war broke out between the Gallo brothers and the Profacis—a bloody fight that continued well into the 1960s even after Gallo was sent to prison for ten years for extortion and Joseph Profaci died of cancer, handing the reins of the family to Joseph Colombo. Crazy Joe was released from prison in 1971 into a whirl of publicity. Jimmy Breslin’s book The Gang That Couldn’t Shoot Straight—a humorous take on the Gallo/Profaci war—had been released in 1969 and filmed in 1971. In the film, Jerry Orbach—later of Law and Order fame—played “Kid Sally,” the character based on Gallo. Crazy Joe wasn’t thrilled with the performance, so invited Orbach and his wife over to dinner to set them straight. They were amazed at his knowledge of art and literature—as Marta Curro Orbach later said, “When he asked me whether I preferred Camus or Sartre, I almost fell into a plate of spaghetti.” The Orbachs quickly became some of Gallo’s closest friends, introducing him, in turn, to their friends in the world of theater and publishing. However, the friendship was not to last. On April 7, 1972, Gallo celebrated his birthday with the Orbachs and other friends at the Copacabana. After the party broke up, Gallo, his wife, and his body guard, Pete “the Greek” Diapoulas decided to head to Little Italy for a quick bite at Umberto’s Clam House. Uncharacteristically seated with his back to the door, Gallo didn’t notice a gunman enter the restaurant until it was too late. He leapt up and ran toward the hail of bullets—probably to draw fire away from his wife—and staggered out on to Mulberry Street, where he died. 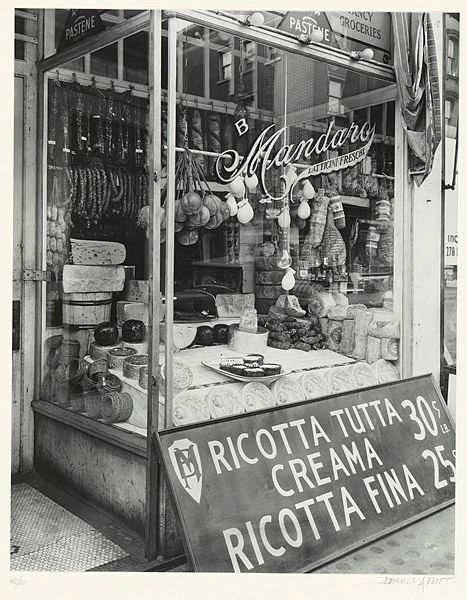 While Umberto’s still exists in Little Italy, it is no longer in its original location. The spot where Gallo was killed, at the corner of Hester and Mulberry, is now Da Gennaro. Umberto’s moved to Broome Street a few years after the murder. Gallo’s life is not only recounted in The Gang That Couldn’t Shoot Straight and Bob Dylan’s Joey (from the album Desire), it was also made into a film called Crazy Joe in 1974 starring Everybody Loves Raymond’s Peter Boyle. More about Little Italy -- including a walking tour of famous and not-so-famous sites -- can be found in our book Inside the Apple, which is now available. 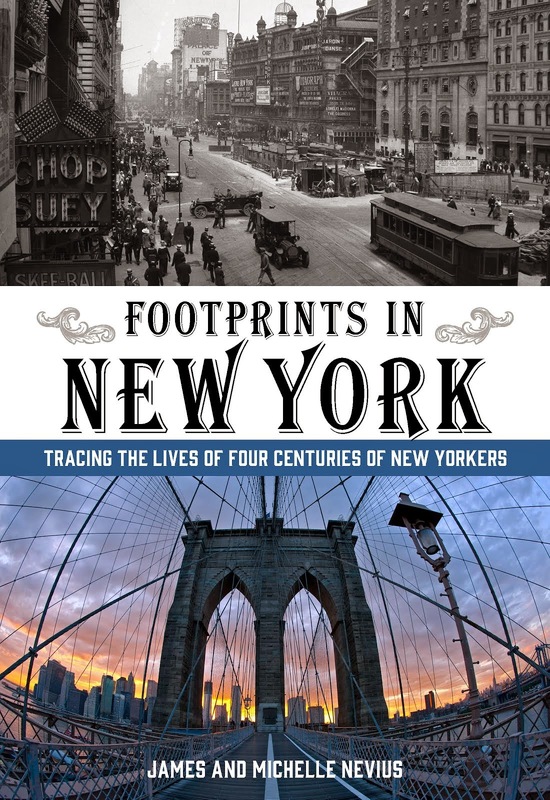 For more information about the book and our upcoming talks and walking tours in New York, visit http://www.insidetheapple.net. Just a brief update to let you know that we will be appearing on Peter Greenberg's travel radio show this weekend. Greenberg -- who is the Today Show travel editor as well as the author of numerous books including Don’t Go There! The Travel Detective’s Essential Guide to the Must-Miss Places of the World and Tough Times, Great Travels -- hosts a weekly radio program that is syndicated to over 150 stations nationwide. We will be appearing on the show the morning of Saturday, April 4 (though some stations don't broadcast the show until Sunday, April 5). To find a station near you, visit http://www.petergreenberg.com/peter-greenberg-worldwide-radio-station-finder and enter your zip code. Alternately, you can stream the show live between 10:00AM and 1:00PM Eastern Standard Time at News Radio 1440 , or you download a podcast from iTunes to listen to at your leisure.